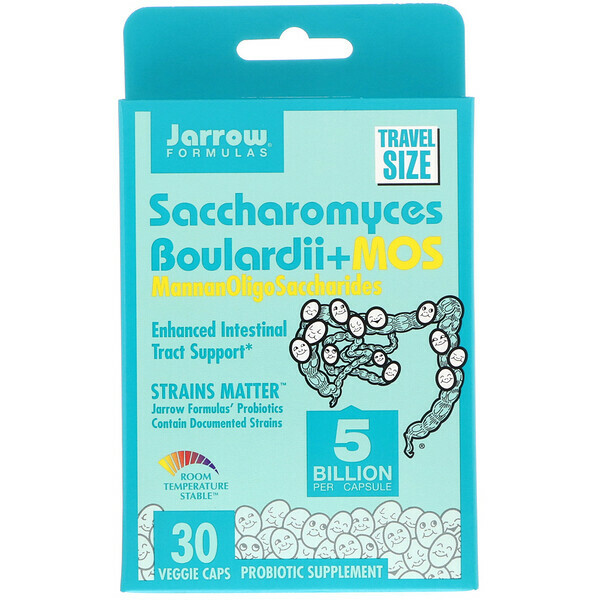 Saccharomyces Boulardii + MOS contains the probiotic yeast Saccharomyces intestinal tract. 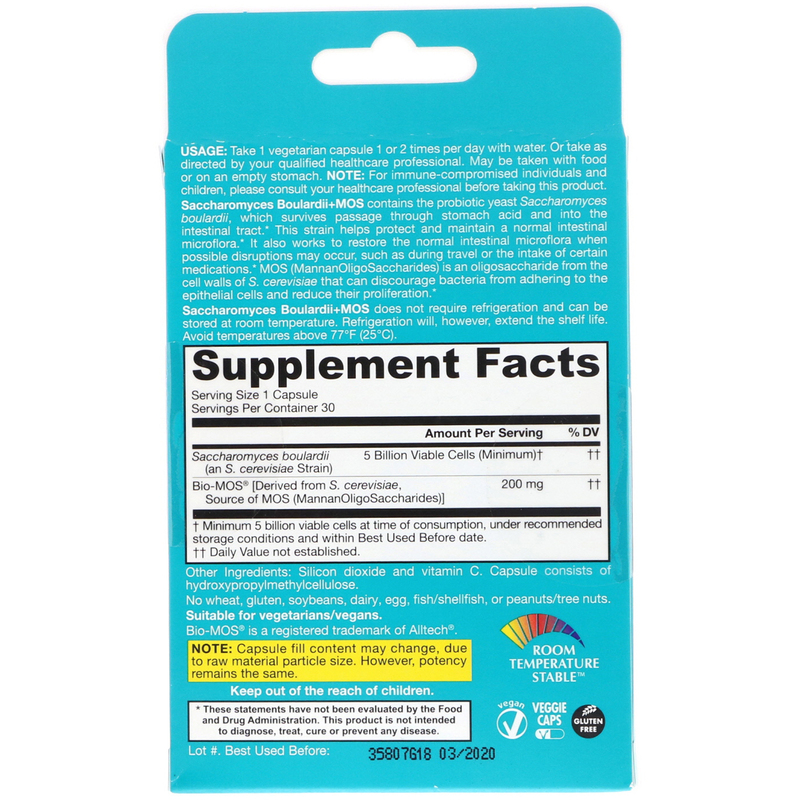 This strain helps protect and maintain a normal intestinal microflora. It also works to restore the normal intestinal microflora when possible disruptions may occur, such as during travel or the intake of certain medications. MOS (MannanOligoSaccharides) is an oligosaccharide from the cell walls of S. cerevisiae that can discourage bacteria from adhering to the epithelial cells and reduce their proliferation. Take 1 capsule 1 or 2 times per day with water. Or take as directed by your qualified health care professional. May be taken with food or on an empty stomach. For immune compromised individuals and children, please consult your healthcare professional before taking this product. Silicon dioxide and vitamin C. Capsule consists of hydroxypropylmethylcellulose. Saccharomyces Boulardii+MOS does not require refrigeration and can be stored at room temperature. Refrigeration will, however, extend the shelf life. Avoid temperatures above 77°F (25°C). Note: Capsule fill content may change, due to raw material particle size. However, potency remains the same. †Minimum 5 billion viable cells at time of consumption, under recommended storage conditions and within Best Used Before date.